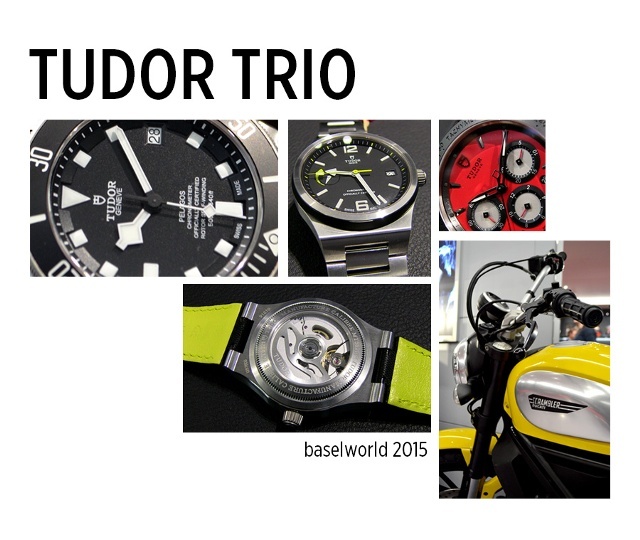 This year Tudor launched three new timepieces and a robust manufacture movement MT5621. 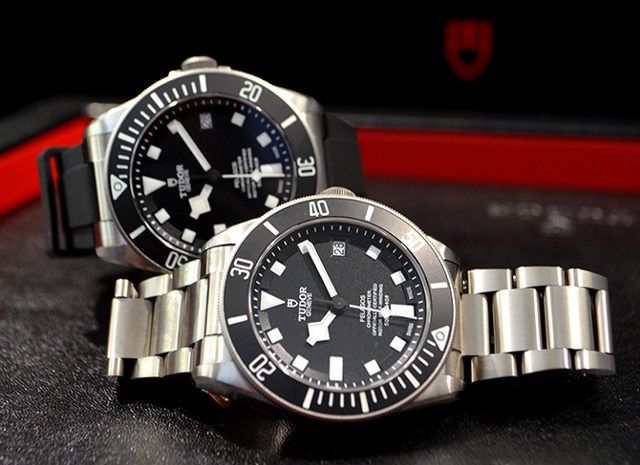 This debut will further impact the future of Tudor allowing the brand to be more vertically integrated and independent. 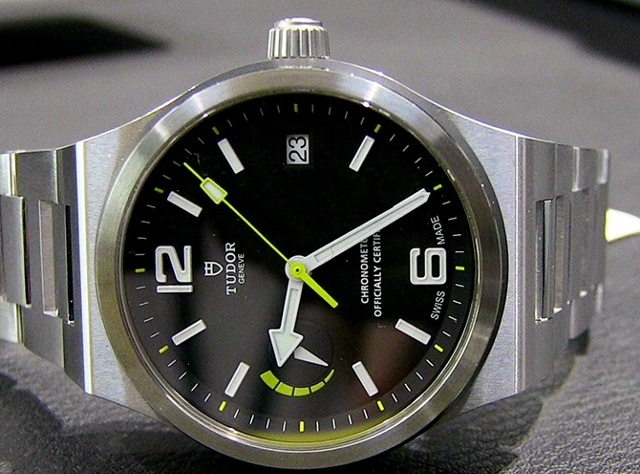 Beginning in 2010, Tudor spearheaded operation MT2010, which would culminate in the development of this self-winding mechanical movement with a bidirectional rotor system. 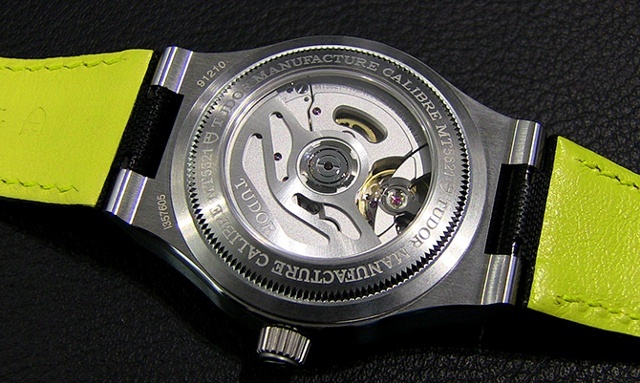 The movement is also COSC certified and boasts a 70 hour power reserve. In addition, it contains a patented variable inertia balance allowing for micro adjustment and a non-magnetic silicon balance spring. Designed with everyday reliability In mind, the MT5621 is a true tool movement. This watch was inspired by the Tudor Ranger II from the 1950s (and is also today’s Watch of the Day). The retro look is evidenced by the integrated lugs, arrow-shaped hands and large indices. The case measures 40mm in diameter and features a double bezel in steel and matte black ceramic. The watch is available on a stainless steel bracelet or a black leather strap with yellow stitching. 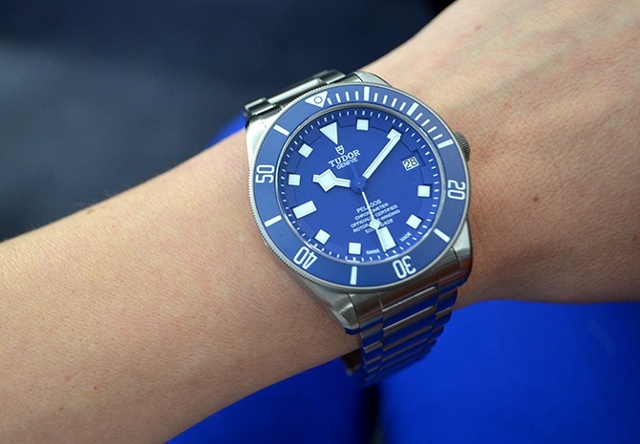 An updated Pelagos model represents an aquatic lifestyle with a new color introduction and a in-house movement manufactured by Tudor. The case is forged in titanium and features a unidirectional ceramic bezel in matte blue or black. To ensure the ultimate water resistance of 500m, the screw-down crown and helium escape valve help guarantee diving confidence. The in-house MT5612 is at the heart of this timepiece displaying the hours, minutes and seconds, as well as the date. Adding a fresh new hue of blue is a welcomed addition to this extreme diving tool watch. 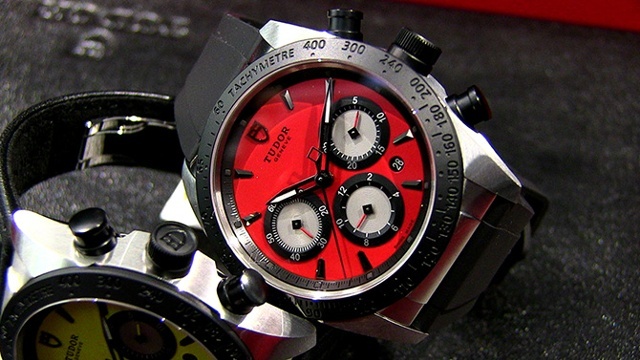 In partnership with Ducati, Tudor created this motorbike inspired chronograph. The Ducati customizable Scrambler motorbike is reflected in design elements of the Fastrider through its three matte color variations, yellow, red and green, as well as detailing on the strap. The 42mm case is designed in stainless steel with a matte black ceramic engraved tachymetric bezel. The dial is clean, bold and easy to read. A self-winding mechanical movement with a power reserve of 46 hours powers the piece and provides a calendar function with rapid corrector.